Solid Debit offers a unique way of transferring funds to a casino account via the use of an online pre-paid debit card. The process is simple; sign up for an account at the Solid Debit website and they will send you a solid debit card which you must top up through a credit card payment or a bank transfer. The Solid Debit card then serves as a real debit card but without the extra worry of spending too much and going into debt. This problem is avoided because with a Solid Debit card a user can only spend as much as they have topped up. Topping up the debit card via a bank transfer takes slightly longer whilst topping up with a credit card is instant. Both top up methods do incur a fee for each transaction. Once the card is loaded with funds, a user needs to log on to a participating online casino and from there the Solid Debit card is used in exactly the same way as a normal credit or debit card: Enter your details, the card number and the amount to deposit and funds will go straight into the online casino account. As well as the ease of use, no credit checks are actually required to apply for a Solid Debit card, unlike some of the traditional credit cards. Using a Solid Debit card is also a secure way of depositing money because your bank account or credit card is not directly linked to the casino. Also if the Solid Debit card is stolen, only the money available on the card can be withdrawn and there is no further access to any of the owner’s finances. 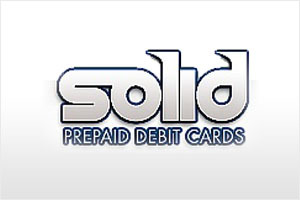 Solid Debit can also be used for withdrawals from an online casino account and this will incur a small fee.